It is the election season, and apart from stingy political exchanges, numerous fake reports are also flying thick and fast on various social media networks. 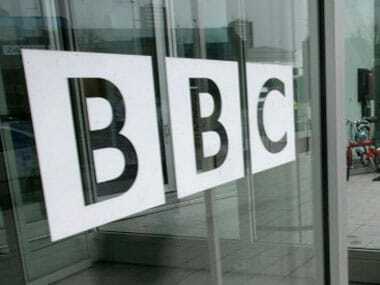 From morphed images to contrived data, overflow of such information is being monitored as social media giants try various means to control fake news. However, there is still a need to exercise caution before sharing any unverified or single-source update. For instance, recently there were reports of a message being shared on social media (Facebook and WhatsApp) regarding voting rights of the Non-Resident Indians (NRI). 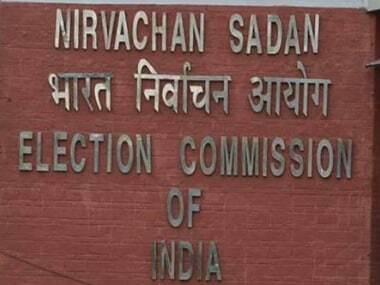 The report claimed that NRIs can now vote online by visiting the official website of the Election Commission of India (ECI). However, various fact-checking websites and the Election Commission itself, have now clarified that these claims are false and that no category of voters has been provided with a provision of online voting. 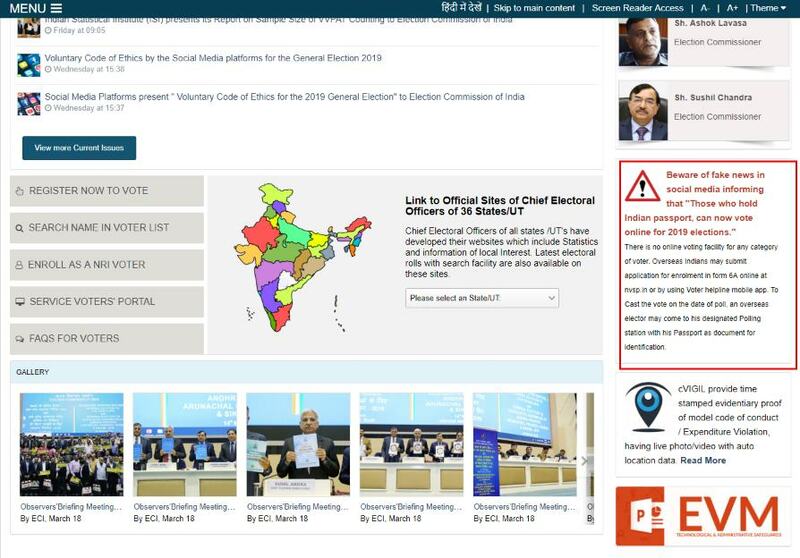 The fake message carried a link to the election commission website which allowed for the ECI logo to show up as an embed, camouflaging its falseness. However, the link only led to the voter registration page on the website, which is mandatory for all voters including overseas voters. If overseas voters wish to participate in the electoral process, they need to fill up Form 6A to register as voters and will have to physically appear at their designated polling stations in India to cast their votes. To cast vote, an Overseas voter may use his or her passport as the document for identification. The ECI is running a disclaimer on their website warning people to not fall prey to message. It's official spokesperson Sheyphali Sharan also shared a copy of the FIR the election body had lodged with the Delhi Police for spread of misinformation. "As follow up action, written to DCP New Delhi District to lodge FIR and investigate the matter of fake news, relating to voting by NRIs using ECI logo, currently in circulation on WhatsApp," she wrote on Twitter. 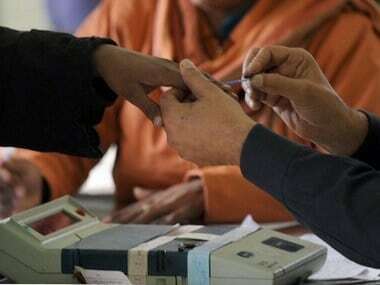 In February, an expert committee of the Election Commission had said no to e-voting for NRIs but approved proxy voting. 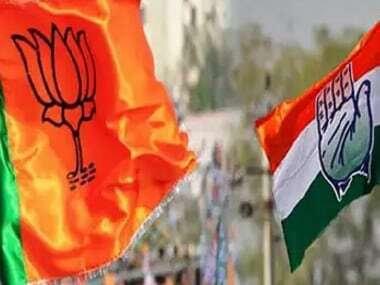 Meanwhile, a bill to extend proxy voting rights to NRIs was passed in Lok Sabha in August 2018 but it is pending in Rajya Sabha and is set to lapse on the dissolution of the current Lok Sabha.